People who are in the business of books can achieve success in online market without any hassle. Increase your customer base and profits by taking your business to online platforms. Glance through all the below WordPress themes to get an idea about different specifications and features that can help you to develop perfect website as per your style at reasonable price. Advanced grid layout of this theme makes your website stand out from the crowd. Mailchimp feature in this theme provides great system for management of email subscription. WPML compatibility helps you to reach out to global audience without any language barrier. 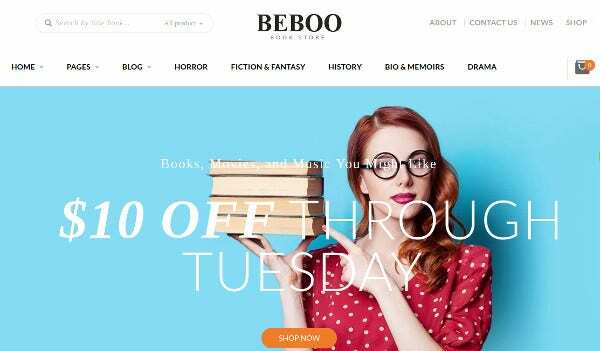 BEBO book store WordPress theme provides complete responsive designs which makes it user friendly on all the devices. 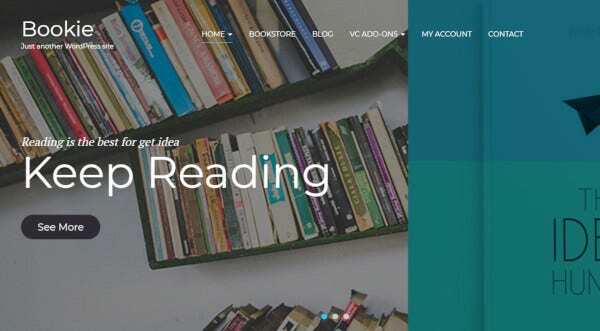 Books Store WordPress theme is 100% responsive with amazing sliders, built-in theme customizer, lifetime free updates, plenty of color options which can help publishers, book stores to develop an attractive website. This theme contains 80+ shortcodes, 600+ Google fonts which helps to customize Typography smoothly. This WordPress theme is bootstrap integrated which helps the website to adjust its content to any screen resolution. Parallax feature of this theme bonds the customer well to the website that will take your website to greater heights. It also has WPML certification and is SEO friendly. 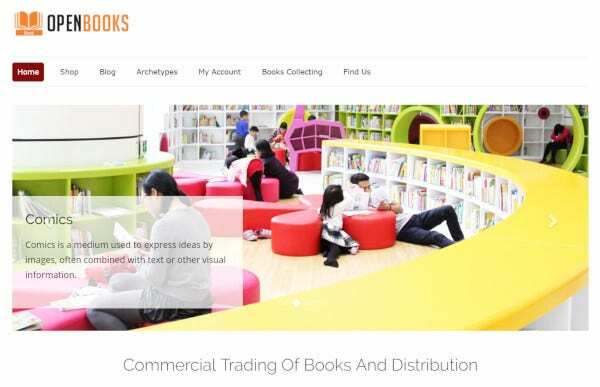 OpenBooks is integrated with WooCommerce functionalities that makes website development for bookstores, book selling sites and business hassle free. This theme supports PayPal which provides best and safe payment gateway for website owners and customers. It is mobile responsive with lot many other features like- shop page template, shortcodes, contact us form, pre-built gallery, product category, drop down menu, in-built SEO, multiple slides support for images and videos. This is a SEO optimized WordPress theme which can be easily customized as it is powered by Visual Composer. It includes 20 shortcodes from tokokoo and 45 shortcodes from default visual composer. It is WooCommerce integrated, provides responsive design, supports WordPress post format. It is WPML ready with dynamic layouts and also includes child theme support which makes a complete package for anyone to develop a website from scratch. Drag and Drop feature of this theme makes website development easy and smooth as there is no usage of code language. Website functions are enhanced with the help of Cherry plugins. This theme consists of large pool of layout options, content modules, 7 header layouts, custom widgets, live customizer, 500+ Google web fonts, perfect documentation and so man more features that gives benefit to build website in minutes. This theme being fully responsive in nature and SEO ready, adds an extra feature to the list and i.e. Ecwid ready that guides to add free online store in minutes. BooksParadise WordPress theme is WordPress 4.5+ ready, built with Twitter Bootstrap 3 and 100% fluid layout. This theme is WPML compatible and includes 7 custom color skins, 5 pause and play image sliders, 4 footer widgetized area, custom logo, favicon uploader, unlimited slidebars, product category page, login menu, rating system, social media icons, clean code which gives a complete package for writers, publishers to publish their work to reach out to customers from all over the world. 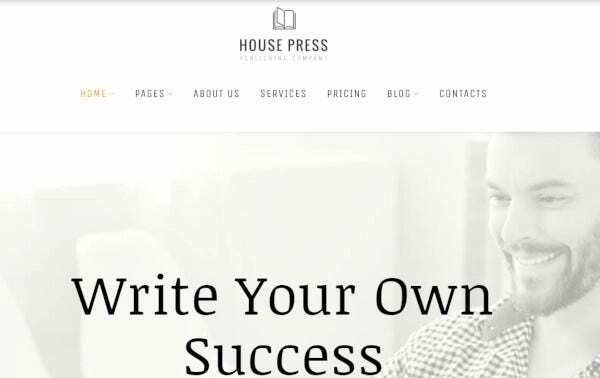 This WordPress theme includes plenty of page templates that helps to create a professional eBook store. It offers 3 homepage templates and multiple blog post format templates. Visual composer plugin helps to modify the pre-built templates and also allows to create a new one. The menus and organisational features of this theme provides user friendly interface for the website, which allows your visitors to have smooth navigation of the site. This fully responsive and SEO friendly theme is licensed under GPL v.3 and designed by industry experts. Clean code and easy to understand documentation guides you to build a perfect website with ease. This theme offers plenty of layout options, custom widgets, content modules, live customizer and 500+ Google fonts. Drag and drop feature of this theme provides easy and smooth set up of your website. 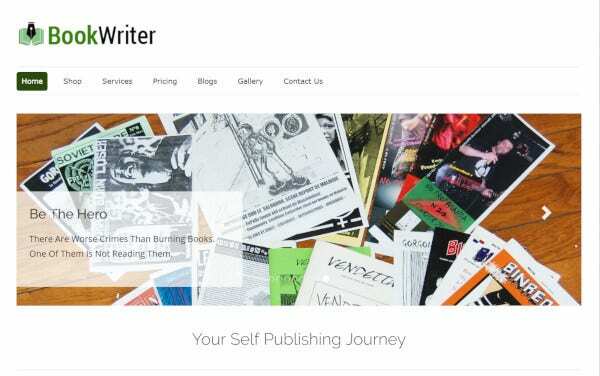 BookWriter is a CSS and HTML enabled WordPress theme that is powered by WooCommerce which helps to streamline your writing work and reach your customers through online presence. This theme provides plenty of color options, drop down menus, custom favicon upload, blogs, testimonial area, video advertisement area, 4 column feature section, easy to use theme option panel and many more features which can help to develop website in minutes. This theme is 100% responsive, WordPress 4.6+ ready, retina ready and jQuery enhanced. 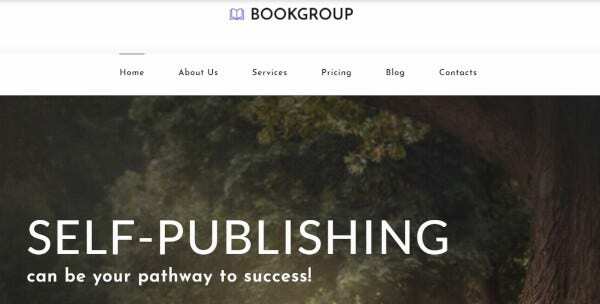 Bookstore WordPress theme is compatible with WooCommerce 3.0 which makes online selling setup easy and quick. This theme includes attractive mega menu, 5 home page layout, 5 product style layout, header variation, quick view, visual composer, slider revolution, SEO optimized, extensive documentation, responsive layout, mobile device optimization and many more features. This theme can be installed in one-click which makes your website creation task smooth and quick. 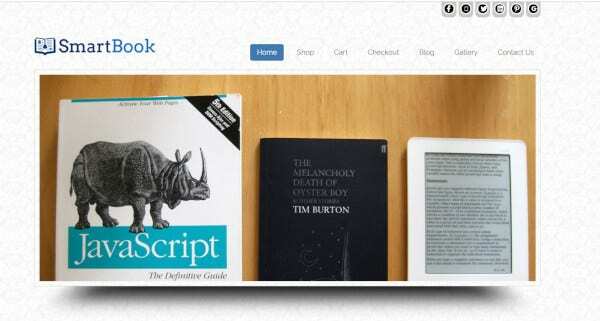 Ebook WordPress theme provides a ready made solution of website development that can build strong online customer base. This theme gives 100% responsive designs that makes your website accessible from all the devices. SEO compatibility will keep your website in top ranking positions in search listing results and WPML ready feature will help you to reach to global audience. Bootstrap feature of this theme will allow your website content to adjust as per different screen display. This theme also has advanced backup with awesome sliders for image sharing. SmartBook an impressive WordPress theme with clear documentation and one click set up is perfect for libraries, bookstores, publishers etc. This theme is enabled by CSS, has enhanced jQuery and is SEO friendly. Boxes style layout, column feature area, responsive behavior, social media icons, pre-built contact us page, footer menu section makes it very simple and smooth to develop E-book website. 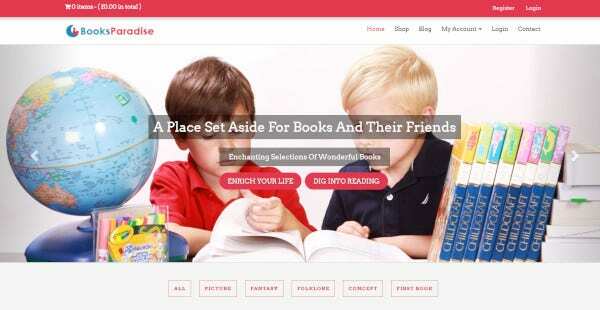 This book review WordPress theme is powered by WooCommerce media and book store. 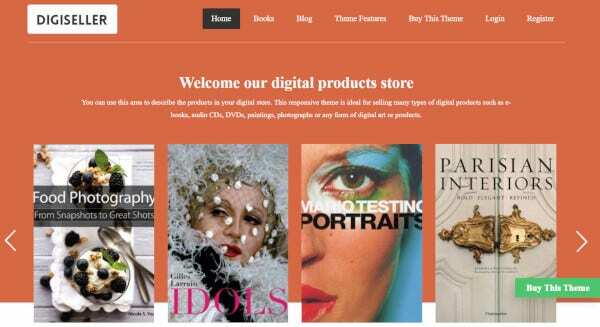 This theme is perfect for online websites selling media products. Online websites can sell both physical and downloadable items with this theme. It is compatible with LearnDash advance courses, lessons, quizzes and WPBakery. This theme includes events management and events calendar, stunning custom hover effects and online layout style switcher. This theme has ThemeRex Framework which means it includes fully responsive layout shortcode builder, review mechanism, media content manager, custom theme options panel. This theme is also SEO ready which helps your website to be on top in search results. Secret Library a retina ready WordPress theme includes W3C validation, amazing video section, easy to understand documentation, social media icons, pre-built contact page, boxed slider section, outstanding area for blog feature which gives a complete package for website development. 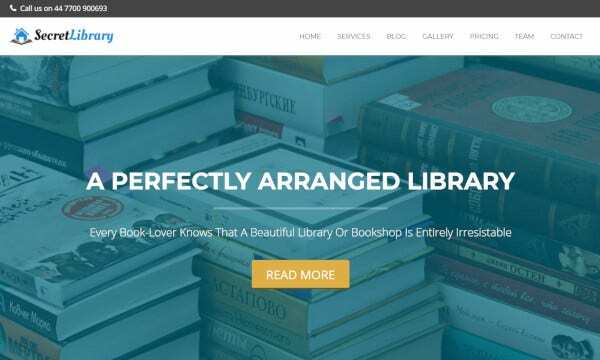 This responsive theme is WPML compatible, jQuery enhanced, SEO optimized, cross browser compatible that makes it easy for bookstores, library owners, educational institutes and government organisations to build their website and streamline their services. 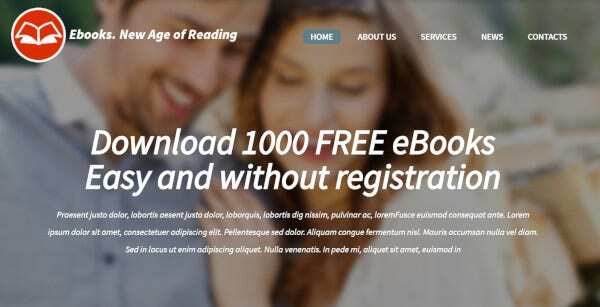 DigiSeller is a responsive and mobile friendly WordPress theme that can be used to sell eBooks, media files and courses. It can be easily customized and has PayPal integration. It is compatible with WooCommerce, Contact Form 7, WP Super Cache, Total Cache, Google XML and many other WordPress plugins. This theme is SEO friendly and WPML compatible. In today’s digital world, online presence plays a key role in establishing business and also helps to stay ahead of competitors to reap benefits. Take advantage of online platform to build your business from scratch and achieve greater heights of success. Above themes give strong knowledge about different features that will guide you to create your own website effortlessly.